A simple but very strong and effective Mantra Prayog to increase Riddhi and Siddhi has been described in this post. 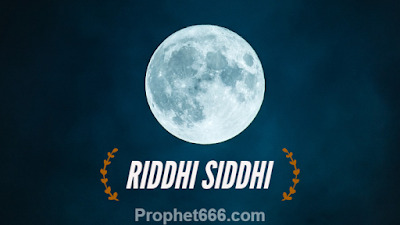 Riddhi is the context of this post means every kind of material prosperity and Siddhi means Mastery over mental powers and supernatural abilities, like extrasensory perception and even advanced Divya or Magical Siddhis. The Mantra Experiment is most suitable for those Sadhaks who are striving to gain some or the other kind of paranormal power and at the same time wish that all their material needs and wants be taken care of by a steady flow of money and other essential resources. Most Sadhaks have a responsibility towards their families and dependents and hence they are not in a position to concentrate all their energies only on spiritualism because these of these responsibilities. The Mantra Prayog to enhance the prospects of gaining Siddhi and Riddhi at the same time has to be practiced for 11 Sundays continuously. The Mantra given below should be chanted 108 times at night on the 11 Sundays before going to sleep. The Sadhak can use any kind of counting rosary for this purpose. However, the Mantra given is this post does not need any form of worship because it is composed of a combination of Beej Aksharas and is not dedicated to any God or Goddess. Sir mantra shud be recite only on Sunday till 11 sundays or daiily till 11 sundays plz guide. As clearly described in the post, the Mantra Experiment has to be done only on 11 Sundays. Does this mantra has to chanted only on Sundays or evrye day till 11 Sundays are not over. Do we have to follow all the sadhna protocols as well. Only for 11 Sundays as detailed in this post. The place for Mantra Jaap can be flexible. Even though there are no restrictions, in my opinion it is better to discontinue during the monthly cycle. Can we do this on bed, just before sleep ??? Can we do it in pooja room ? Can I do this on bed before sleep ? The break can be taken until you are physicall and mentally fit to resume the Mantra Sadhana, if it is a long break, then, you can resume the Sadhana once again as it is a simple Sadhana.